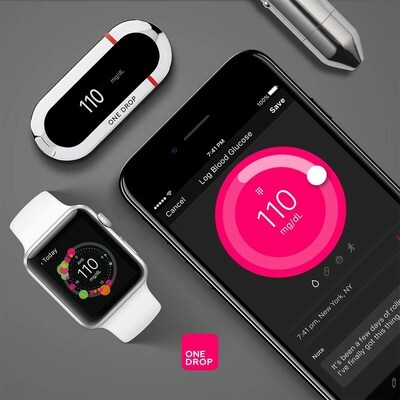 NEW YORK, Sept. 12, 2018 /PRNewswire/ -- One Drop expands their industry leading Apple Watch diabetes management solution by offering the first and only wireless blood glucose monitoring system to connect directly to Apple Watch. 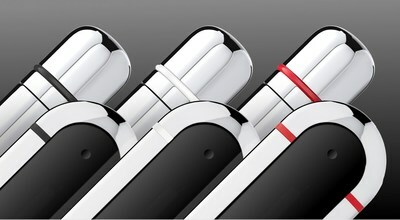 One Drop | Chrome - Now in 3 flavors! "For too long the diabetes industry has operated on point solutions and closed systems focused on the needs of healthcare providers in the clinic, rather than the needs of the people using the systems to manage their disease every day," said Jeff Dachis, One Drop CEO. "We are excited to further empower One Drop users with this exciting addition to the One Drop experience." One Drop is focused on improving outcomes for people with diabetes by creating the world's best diabetes user experiences. One Drop is an elegant solution that empowers people with diabetes to actively engage in their day to day management and achieve great health outcomes. 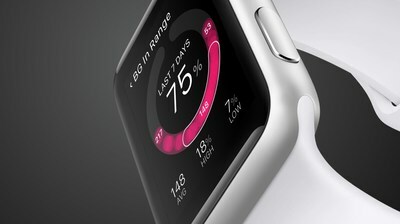 The addition of Apple Watch connectivity and One Drop | Automated Decision Support further strengthens the digital therapeutics company as a powerful, affordable, and clinically effective solution for millions worldwide. By offering innovative and integrated self-care tools, One Drop users easily manage their data, gain insights, and take action to successfully reach their goals, and support healthcare providers and health systems to achieve their population health goals while lowering the overall cost of care. One Drop is a digital health company harnessing the power of mobile computing and data science to transform the lives of people with diabetes worldwide. The One Drop platform brings affordable, accessible diabetes care to everyone with diabetes and a smartphone, as well as their insurers and health care providers. One Drop's consumer services are available for purchase in-app (iOS and Android) and at http://onedrop.today. One Drop | Mobile is available for free download worldwide (iOS and Android). And, for more information on helping your organization lower the cost of care, contact just@onedrop.today.